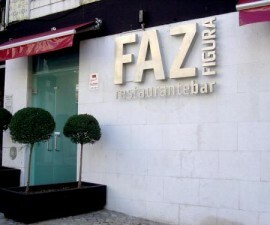 There are many styles of restaurant in Lisbon to choose from, from haute cuisine to international, and from traditional to modern. But rather than head to a formal dining room, why not head to a cervejaria instead? Many visitors make the mistake of thinking that a cervejaria is just that – a place to drink beer (cerveja). While indeed there is plenty of beer on offer in a cervejaria, there is plenty more to be found besides that. Popular cervejarias are informal restaurants where food features on the agenda just as much as beer. 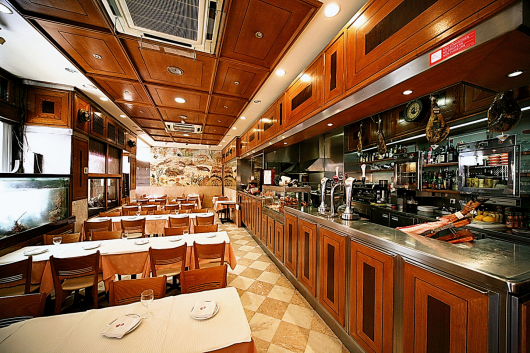 And if you are looking for a typical restaurant in Lisbon of this type, head to the Cervejaria Ramiro. 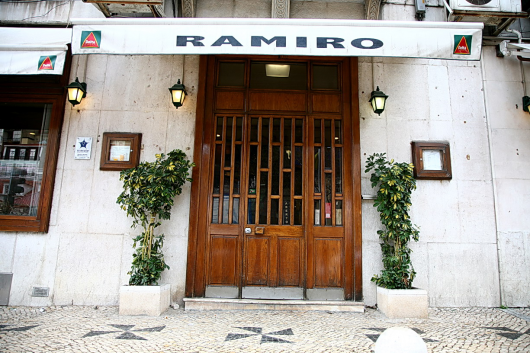 Founded in 1956, the Cervejaria Ramiro has long been a popular eatery with the inhabitants of Portugal’s bustling capital city. It has grown over the years from a relaxed drinking place and snack bar, to earning itself a reputation for serving some of the tastiest food created from some of the freshest ingredients in the city. Today, Cervejaria Ramiro is well known for its seafood specialities such as oysters, lobster, clams and crab. Try the Prawn a la Aguillo, the grilled tiger prawns and choose between the delicate spider crabs or more robust rock crab according to your tastes. The décor itself is vaguely nautical, conjuring up images of the sea and memories of the seafaring discoverers who set sail from the shores of Portugal in centuries past. That is not to say that there is no place for meat on the menu, however. The steak sandwich is legendary and the wonderfully fragrant Pata Negra smoked ham is also certainly worth a try. 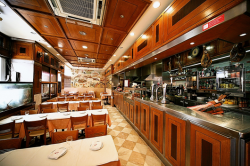 Cervejaria Ramiro is a family owned restaurant in Lisbon, which adds to its conviviality and its attention to thoughtful and friendly customer service. 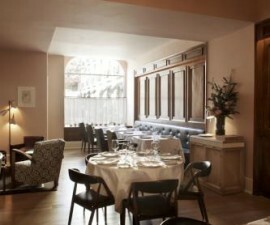 The pace is somewhat frenetic, so if you are looking for a leisurely and sophisticated dining experience this may not be for you. 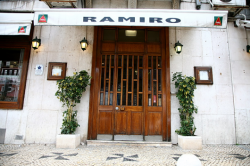 On the other hand, if you are in search of a lively atmosphere and great food and drink, don’t miss putting Cervejaria Ramiro on your list of must-visit restaurants in Lisbon. 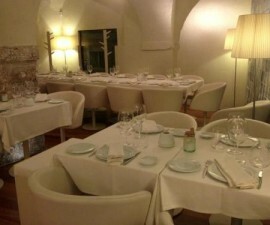 Expect a main course to cost on average five to 10 euros and a three-course meal around 20 euros. Opening hours are from midday until 12:30am six days a week, closed on Mondays.